I love reading about the stylish Stockholm, Sweden, fashion scene that we see on the pages of magazines. 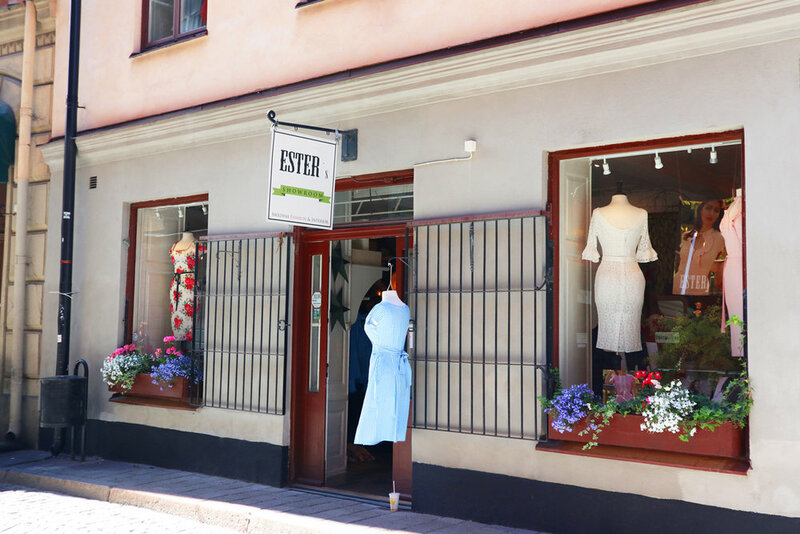 So during our summer month in Stockholm, I trekked through downtown Stockholm to shop the big department stores (like NK Stockholm, above, and Åhléns), plus I snuck into every specialty boutique I could find along the way. And guess what? The more I walked and looked, the more I realized that most of the stores were selling (and most of the people were wearing) clothing that looked very similar to what many people are wearing around the world right now: a little bit of everything. Swedes are often just a bit more polished, even during transport. 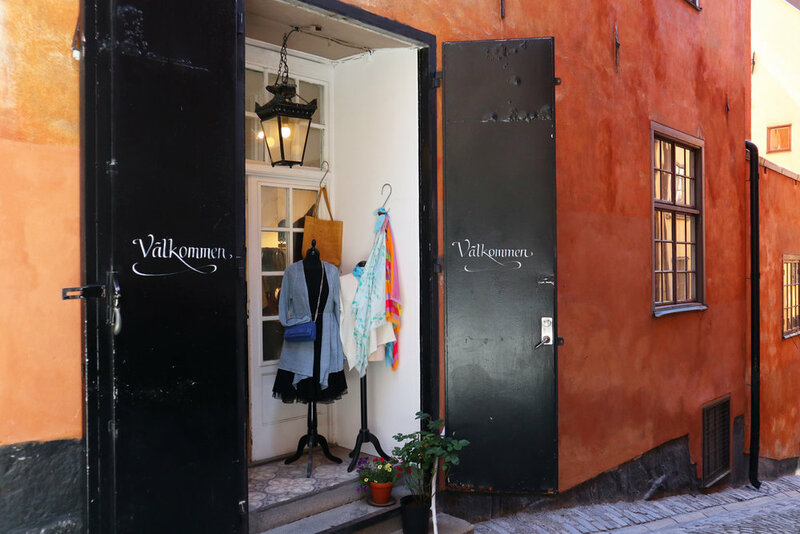 I also browsed the clothing boutiques in Gamla Stan (known as Old Town Stockholm), the very center of where Stockholm was founded. This is where more local and/or handcrafted products, like sweaters, could be found. As well as the regional Scandinavian Explorer's stuffable vests, jackets, and coats. There were even shops in Gamla Stan selling clothing, accessories, and household goods made from flax (including organic flax). Vegan and eco options! And, for an adorable twist, Ester's boutique has vintage-style clothing that immediately draws one in. Designed in Sweden and handcrafted in the EU, Ester’s also has an ethical focus. The most peaceful time to shop in Stockholm during the summer, I have found, is in the morning (cooler temps, no crowds). Many shops might not open until 10 am (yet, that's still okay, crowd-wise). Local coffee shops/cafes have free bathrooms for customers, which I’ve found to be the perfect reason to stop and enjoy a little beverage/snack (fika), free wi-fi, and local culture. To my surprise, I didn’t leave Stockholm with the fashion wardrobe I’d imagined (I instead found three favorite tees). The suitcase Gods were looking out for me.